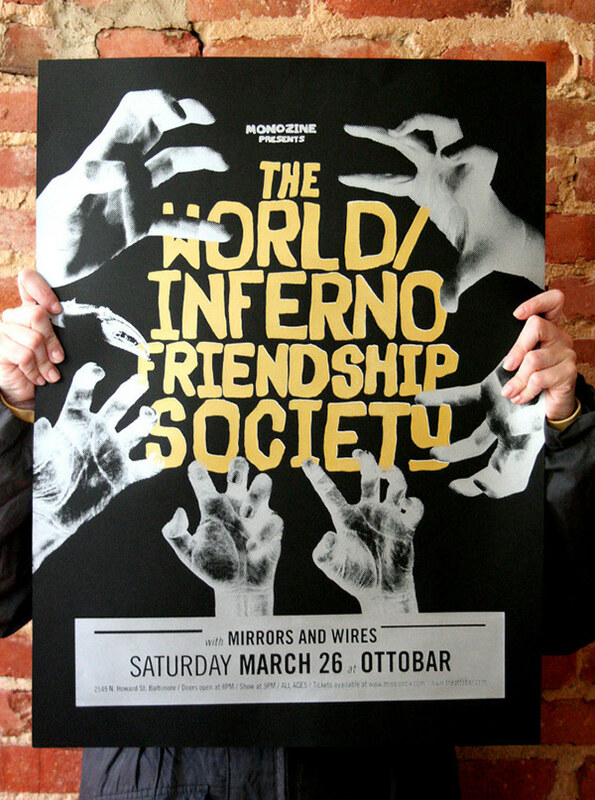 Poster designed for the band's show in Baltimore's Ottobar. The imagery is in honor of the band's fans that call themselves "infernites" and the claw they make with their hands in tune with the music. Screen printed in 3 colors ( white, gold and silver) on black paper.